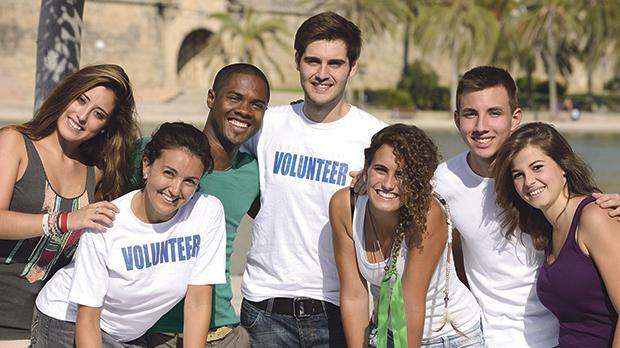 Many youths beat acedia by experiencing voluntary work. What happens at noon? Nothing. There’s just the sun’s bright white light and its searing heat. And the warning to stay out of it. In the turpor of midsummer heat, it is easy to simply switch off. For many for whom this is the only time to take an extended break from work, this switching off is crucial and necessary: a time to re-create, re-charge and renew. We need that. It is an essential part of the interplay between work and play, between focus and rest, between weekday and the Sabbath injuction to rest. Yet often this becomes a time when we switch off completely: the sand in our feet and the late evening strolls envelop us so completely that we forget the world around us. We are consumed by the humid evenings and listnessness pervades our bodies. We just want to be lazy. We simply could not be bothered about anything happening in our country, in the seas around us, in the Church, and in the world. It is the perfect time for misdemeanours and sins to simply pass us by without noticing how heinious and serious they are. So, in midsummer and maybe at other times too, the temptation to relax so utterly and completely that we become totally disinterested is a challenge in itself. In Scripture there a reference to this subtle yet pervasive reality. Psalm 91, verse six, refers to the noonday devil. Tradition calls it acedia, defined variously as spiritual sloth, lethargy, indifference and torpor by greats like St John Cassian St Benedict, St Thomas Aquinas, Thomas Merton and others. From the monastic tradition, reference to the noonday devil was made when one was tempted to sleep more, to daydream, to feel bored or tempted to skip the rigorous routine. Translated into our age, it could refer to the countless hours vegetating on social media, the lost time in endless breaks, the lack of initiative which consumes us, and the temptation to forego our usual healthy habits. On a more general level, acedia is indifference to our neighbours, the antithesis of the Gospel call for compassion, solidarity and the genuine care for our neighbour and environment. In this case, indifference kills. Litter on beaches piles up, social solidarity disappears, people begin to struggle and suffer around us and we could not be bothered. Acedia, the noonday devil, rules. How do we deal with this pernicious devil? The monastic sages suggest one word: Work. While we all need spaces to detach, refresh, and renew by being away from our normal routines and work, getting our hands dirty is the best antidote to sloth and listlessness. In this, many of our youths show us the way. While many parents complain of the endless hours children and teens remain intoxicated by their game consoles and online bubbles, a number of our youths beat acedia by the fruit of their enthusiasm: service. The number of youths on voluntary work experiences with far-flung group experiences with the poorest of the poor stand out as ambassadors not only to our country’s generosity but also to the value of not succumbing to selfishness. Our youths, like the spiritual masters, keep prodding our conciences to not yield to the subtle onset of acedia. They remain our conscience, inviting us individually, as faith and parish communities and as a nation, to not fall asleep completely. Through faithful service and voluntary work, they show us that while the noonday devil might have its hour, believers are asked to stay vigilant and awake not only to the temptation of excessive laziness, but above all, to closing their heart to those most in need in our times.